The auto-loading rifle that started it all. 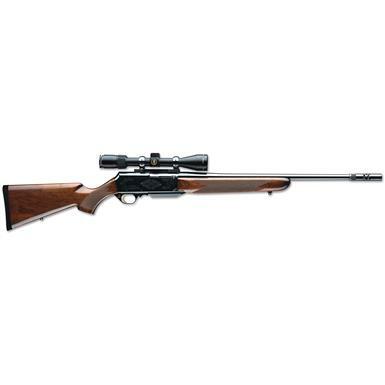 Browning® BAR Mark II Safari Semi-automatic .270 Winchester Rifle with BOSS® System. Originally designed by John M. Browning for military use, the new BAR Mark II Safari features a beautiful walnut stock, precision-machined steel receiver, and hammer-forged barrel. It's accurate, dependable and will turn any skeptical rifleman into an auto-loading enthusiast. Plus, it comes equipped with the BOSS System for increased accuracy. Classic in looks and contemporary in performance, the Bar Mark II Safari sets the standard for every other autoloader on the planet.